September 8, 2014. StarNews interview with Lee Seunggi ② – Continuation of the main points from my previously posted tweets~~ Love Seunggi more every time! When you say Lee Seunggi, you can’t leave out CFs. Since his early days~ milk, electronic appliances, bank, chicken, clothing, pizza, and more, there have been various products. Another reminder that confirms there’s something to be learned from a good image. If you look into it, Lee Seunggi has mostly filmed CFs on his own. Whether next to a rice cooker, drinking vitamin tablet water, or when he was standing next to a refrigerator, Lee Seunggi was filmed on his own. Among all those, the most memorable person while filming CFs was figure skating queen, Kim Yuna. The most memorable person for Seunggi in CF filming? He said Kim Yuna had an ‘aura.’ When they first met, he was super nervous. Seunggi struggled w/ crying early on in TK2H, but after his emotions riled up in a scene w/ YoonJaeMoon, he shed lots of tears. 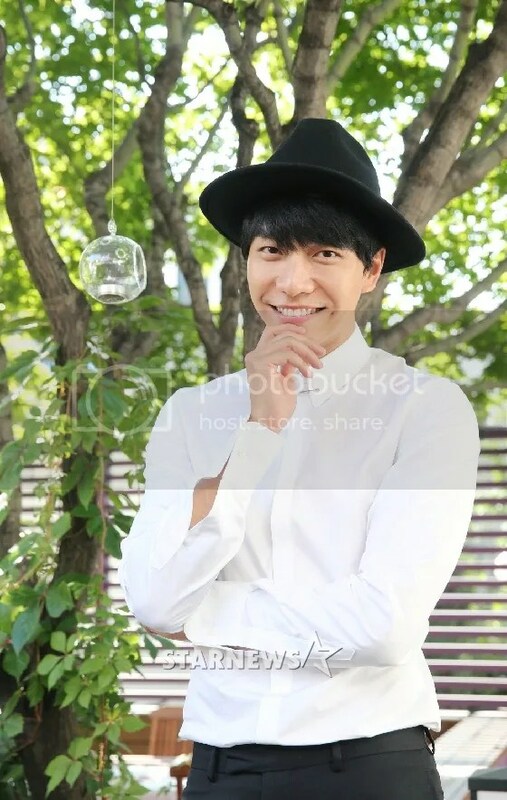 Seunggi is preparing songs now; been meeting w/ many people to find his own unique style. He hopes to release album next year. GFB ChoiKangChi was a hard character for Seunggi b/c he had humanity yet riled-up passion, a type of charm unseen in this world. When asked about YoonYeoJung, KimHeeAe and LeeMiYeon, Seunggi simply replied: I will keep that deep in my heart. Through SBS You’re All Surrounded, Seunggi showcased subtle emotional acting, and he was passionate in talking about it. Actually, Seunggi has continually received movie offers, ones he wanted to do too, but scheduling conflicts didn’t allow for it. Seunggi doesn’t want to waste big greed on 1st movie. Wants to film well w/ PD he wanted to work w/ and Chaewon first met in BL. 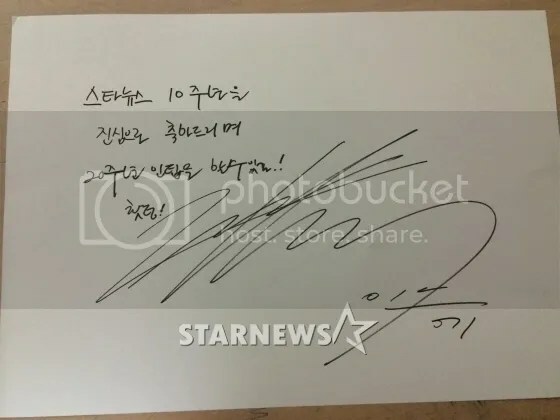 I sincerely congratulate StarNews on its 10th Anniversary and I hope we can do a 20th Anniversary interview! Fighting!